A cheek lift raises the position of the cheek to create a higher cheekbone to enhance features on the face. For many reasons – ranging from genetics to aging – faces begin to drop, and a cheek lift works to refine the shape of the face to restore a youthful appearance. The procedure repositions and lifts the cheek tissue to restore a prominent contour while improving the tear trough and bagginess of the lower eyelid. Along with the creation of higher cheekbones, a cheek lift may tighten the rounding of the bottom of the face. 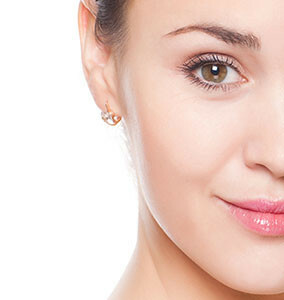 A cheek lift is a day surgery and performed under a general anesthetic in our fully accredited facility. Although the surgery can be performed alone, it can also be done in conjunction with a face lift (rhyidecomy), brow lift or eyelid lift (blepharoplasty).